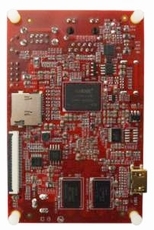 The MarS Board is a ready-to-run platform with ported Linux 3.0.15 or Android 4.0.4. It is an ideal core processing component for your end devices based on a single hardware design. This will greatly improve the efficiency and agility of design, shorten the circle of developing, and accelerate the products to come into the market.